If you consider getting started with creating top looking smashing websites, you will have to learn an overwhelming lot of information before doing the first step. It’s necessary to keep tabs on the quality of the websites: unique and interesting content, beautiful design and so on. If you would like to create websites that will strike people as inspiring and impressive, then that’s what your website visitors would respect you for. But what if you need a prompt solution because you are short of the time for learning and searching appropriate information about web design and web development? 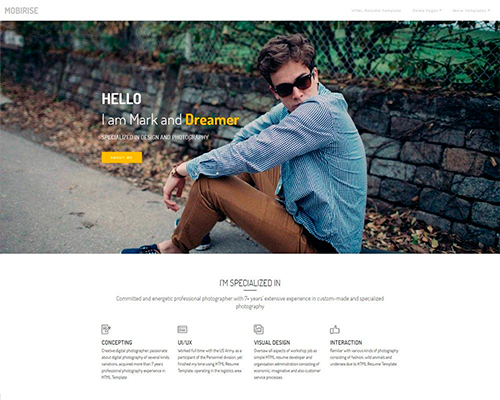 You can use ready-made website video background Bootstrap templates with a lot of personalizing options that let you build outstanding websites according to how you imagine your perfect website design. 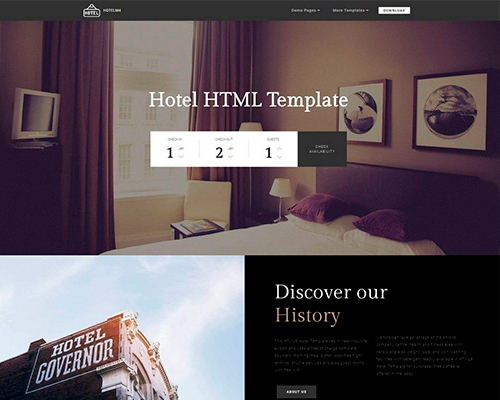 Below you will discover some latest HTML5 website templates with brand-new features and the newest web design trends. 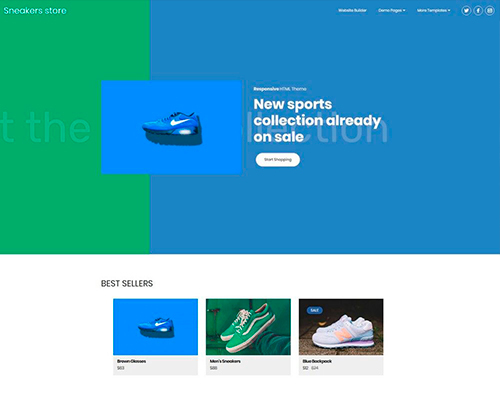 StoreM4 Bootstrap eCommerce template is one of the non-coding HTML5 website templates meant for building eCommerce websites. 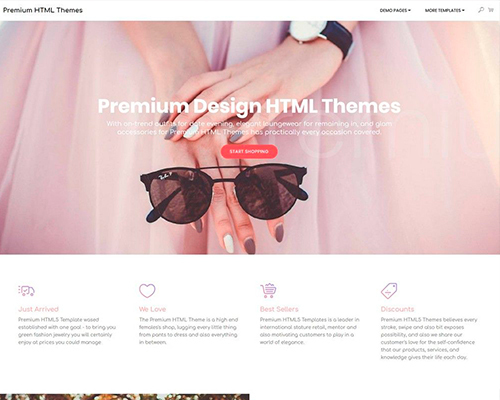 This theme comes along with free and easy website builder called Mobirise. 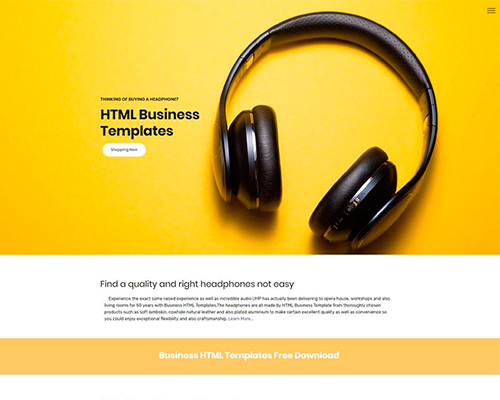 You can start creating websites with this template even without prior web development knowledge. Just add the theme to the website builder, create a new page and drag blocks from the right blocks panel. You can place blocks on top of each other in the order you want and switch their positions easily. StoreM4 offers over 80 multipurpose blocks from drop-down menus, headers with background images and footers with reveal effect to shop blocks, pricing tables, sliders and galleries. No matter what kind of website you are going to build, you will surely find here everything needed for creating a stable and super looking website. Mobirise also provides users with inbuilt extensions. 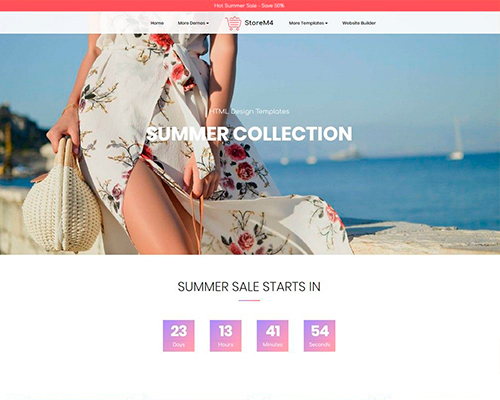 If you really want an eCommerce website, there is Shopping Cart extension for your shop blocks available. 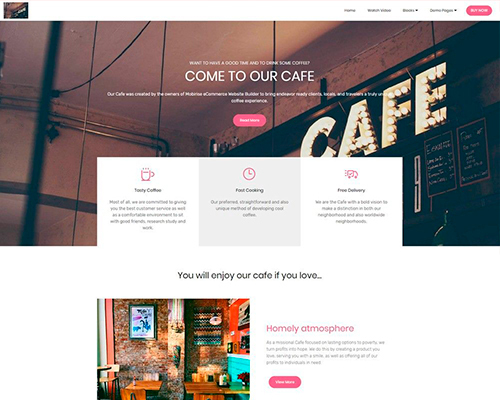 Another theme based on Mobirise free website builder: RestaurantM4 is one of the most eye-catching Bootstrap website templates. If you just look at the design, pictures and fonts of this theme, you will definitely get a comforting feeling. 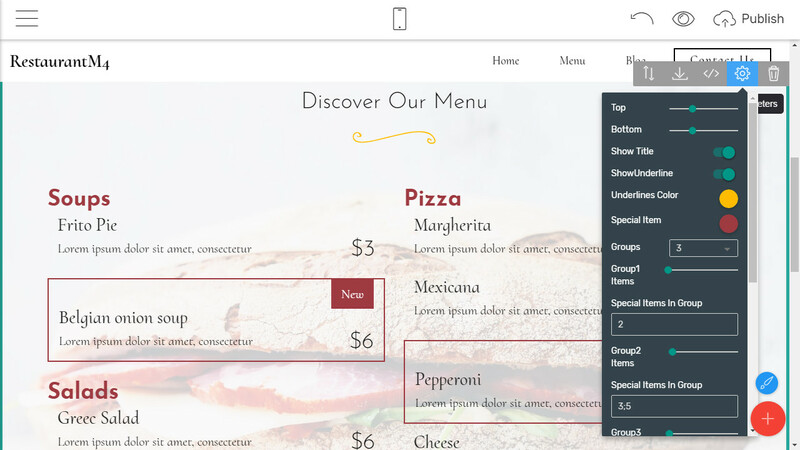 As the title says, this Bootstrap restaurant template is supposed to be used by restaurant owners and there are also some appropriate blocks available: restaurant menus, special events, booking forms and others. In order to make the user experience unforgettable, there are features like background images and videos, Youtube embeds, gradient overlays, popup videos and much more. This theme goes perfectly with the WOW Slider extension as sliders is an interesting and effective way of showcasing dishes and services. In case you want to show the world what you can, PortfolioM4 is the right choice of yours. Using just the same drag and drop feature you can build a fully mobile-friendly website in a few minutes if you have ready content and media like images and videos. There are some new trendy features like horizontally scrolling background images, “typed” title animations, amazing hover animations and more others. All the layouts of this bootstrap theme are easy to customize: just click on the “block parameters” icon and drop down a wide list of design options. You can adjust paddings, block sizes, colors of the elements, set background colors, images and videos, add parallax scrolling effects and color overlays and do much more things like that. Social Feed and Instagram Feed extensions would ideally suit your website as the way to show the best of yours and increase your social media traffic. LawyerM4 doesn’t have to be strictly used by lawyers and legal organizations only. 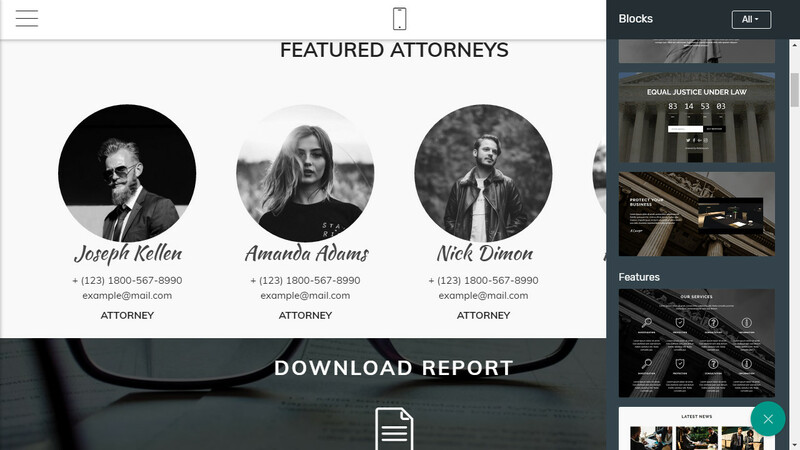 LawyerM4, one of the dark-themed free Bootstrap templates, can be designed for any purpose and reason. 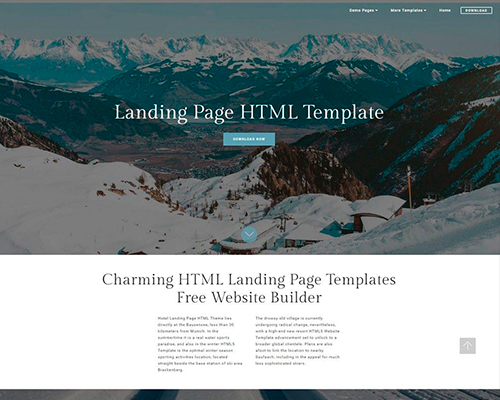 Let’s imagine you want to build a modern looking landing page for your business. Just add the Bootstrap template, drag blocks on the blank page, swap some images and fill your page up with your business-specific content. I’m quite sure if you have all the texts and media, you will be ready to go live in less than an hour. In my opinion, one of the best business HTML5 website templates is the AgencyM4 theme. There is nothing that’s out of place: the websites built with it look clean, polished and slick. You will discover an array of trendy features: extended menus, background gradient overlays, cards with rounded images and social icons, semi-transparent pricing tables, animated counters and countdowns, gradient progress bars and circles and more others. 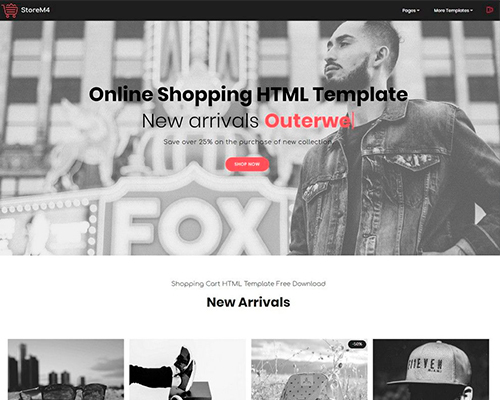 The customization of this gradient HTML theme is easy to handle due to the block parameters and the site styles panel, but if you still feel like short of some features and have some coding knowledge, you can use Code Editor extension. The combination of the code editor and the AgencyM4 theme will give you freedom in achieving that look and feel of your website you wish. Choosing a free bootstrap template is a hard task especially if you need a high-quality solution. There should be considered mobile-friendly design, customization possibilities, modern features, the latest web design trends and, of course, your personal preferences. The templates listed above provide all these criteria. That is what makes them to, apparently, the best HTML5 website templates for creating any type of websites. Download HTML5 Website Builder Now!